The holidays are fast approaching, and with them come office parties, family celebrations, and New Year’s Eve gatherings – all where alcohol is served. 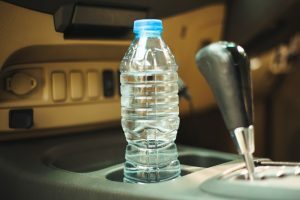 The penalties for driving under the influence in Georgia are steep, and the potential human costs of a DUI accident cannot be tallied. Why risk a wreck or arrest during what should be the most joyous season of the year? In addition to Uber and Lyft, there are other safe, low-cost alternatives to driving while impaired. Whether you are attending a planned event, or are at a party and are unable to drive home safely, you can contact one of the services listed below to provide a safe, sober ride. MyDD is an Atlanta-based designated driver service that offers paid rides from 8pm to 4am. My DD sends 2 drivers to your location, one to drive you, the other to drive your car safely home. Rates are $10 for pickup and $2 per mile. Contact: (678) 861-6933 (678-861-MYDD). Don’t risk a DUI traffic stop, arrest, criminal record, or worse. Contact a safe driver who can get you and those you love home safely. We wish you and yours a joyful and safe holiday season! In the event you or a loved one is arrested for DWI, call Bond James Bond, Inc. to assist with the posting of bail and your release from jail.